Can you create a consumer subculture? 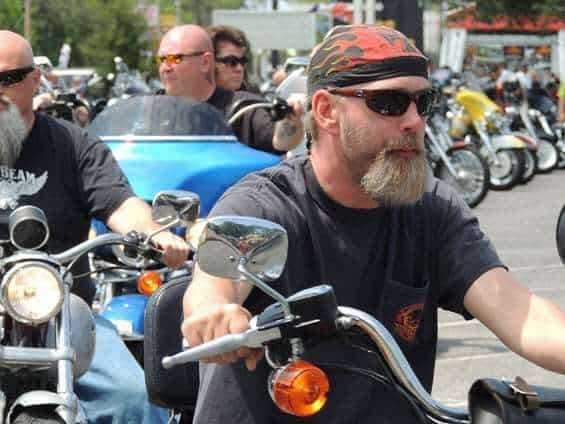 There are two types of motorcycle riders in the world: Harley-Davidson owners and “the rest”. That’s no joke. That is the finding of a three-year ethnographic study of the Harley-Davidson community. The people who own a Harley-Davidson see themselves as different and set apart from other motorcyclists. They consider themselves to be unique; they are a consumer subculture. This is not a peculiarity of hairy bikers. You find the same feeling among serious skateboarders, for instance. Or you can find such feelings within fashion groupings, such as those who love the “goth” look. Back in the 1970s, you found a similar notion with “punk rockers”. In the 1960s it was the “mods”. These are all groupings of people who perceive themselves to be different to the rest of society; they are “subcultures”. However, often those people in subcultures do not realise how much commercial stimulation there is of their beliefs. Punk rockers believed they were rebels, fighting against the establishment. Yet ensuring those individuals in the punk scene got what they wanted to stimulate those feelings were multi-million-pound record companies and fashion brands. It was the establishment that was enabling the punk rock subculture. And I know that, because I worked for a record company at the time, promoting punk bands like Sham 69 and Siouxsie and the Banshees. Some might argue that if you can tap into, or even create, a subculture you are on to a surefire commercial winner; ask Harley Davidson. This is known as a “consumption subculture” where everyone buying the products or services have shared ideals and common interests. They see themselves as part of “the gang” or a “tribe”. No-one else is quite like them. One of the main confusions within many businesses is believing that they have a “community” of users, which makes some kind of “fan-base” or consumer subculture. This simply isn’t true. Your local supermarket has a community of shoppers, but they only exist as a group out of necessity. Similarly, there is a community of owners of the Ford Ka, but it is hardly a subculture. In Europe, there have been 1.9m units sold since 1997. Yet the Ford Ka’s Facebook Page has a mere 197,000 followers – just 10% of the “community”. It is a mistake to think that just because a group of people have bought the same thing, or shop at the same place that they are a “community”. Do Ford Ka users have common goals and shared interests directly related to the vehicle? Hardly. They may have a common goal and the shared interest of having a low-cost car that gets them from A to B. But that’s not specifically about the Ford Ka. After all, a Harley-Davidson user could buy any two-wheeled motorised device. But they wouldn’t dream of it. If you can create a consumer subculture, you need to be prepared to act differently within your company. For a community of users, you are much more in charge. Ford does not really have to respond to the likes and dislikes of their “community” of users. They can always attract new buyers who need a cheap vehicle – any cheap car. However, if your business has a subculture associated with it, you need to respond to what those people do and want. Harley-Davidson cannot do anything that would upset the HOGs, for instance. Justin Bieber has been learning over the past couple of years that upsetting the Beliebers has consequences. Even so, having a consumer subculture can work wonders, if you use it wisely. Data from Nielsen show that 84% of people say that the most influential aspect of what they will buy is what their friends and colleagues say about an item. In other words, people trust their community more than they trust your business. That means if you can get the community to talk about your products and services, you are more likely to gain further sales or more leads. But that means you have to trust the community to do your selling. And that’s the hard part for many businesses. They feel as though they are giving up control. The first step in creating a subculture is in changing attitudes within your industry. You need to ensure that everyone in the company buys-in to the notion that the customers can be in control. The next thing is to provide those customers with a means of being in control. You can create a user group or a membership system of some kind. However, if it is “your” membership group, then it will not be perceived as an independent culture. All your business has to do is provide the means, but the membership does the rest. You also need to provide your fledgeling consumer subculture with some means of identification. This can be a badge or be identifying clothing. Your members need to “stand out” and look different to other kinds of buyers of similar products and services. Having a simple loyalty scheme or an online membership group is not enough. Members of a consumer subculture are seeking to use their membership as part of their self-identity. They need to stand out and look different to “the rest”. If you can do something to help that, you can stimulate the development of a subculture. If you take these steps, the rest is over to the customers themselves. But they will be the biggest advocates for your business, providing you with the best word of mouth marketing you can imagine.